Today, I’m excited to share about another new Young Adult novel – Playing By Heart. 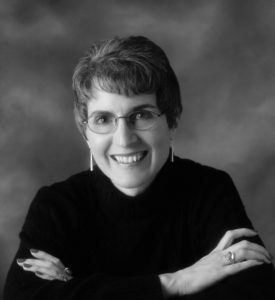 Not only am I including my review but an interview with the author, Carmela Martino. Not only does this book have one of the most beautiful covers ever – it is a wonderful, compelling historical fiction novel for teens. Emilia Salvini dreams of marrying a man who loves music as she does. But in 18th-century Milan, being the “second sister” means she’ll likely be sent to a convent instead. Emilia’s only hope is to prove her musical talents crucial to her father’s quest for nobility. First, though, she must win over her music tutor, who disdains her simply for being a girl. Too late, Emilia realizes that her success could threaten not only her dreams for her future but her sister’s very life. Playing by Heart is inspired by two amazing sisters who were far ahead of their time—one a mathematician and the other a composer. At its core, the novel is the story of two teens struggling to follow their true calling, even when it conflicts with their father’s goals. It’s a clean historical romance appropriate for ages 12 and up. This beautifully written Young Adult novel centers around the strong faith of two sisters, Emilia and Maria, and their extraordinary talents. The book is set in 18th Century Milan, Italy and focuses on their relationships with their father, as well as their struggle to follow the paths they believe God wants them to take. Unfortunately, they lived in a time when young women were subject to their father’s wishes. And their father hoped to showcase their incredible gifts to advance himself to nobility and was not interested in their desires. This is the first book I’ve read by this author and loved her writing style. In fact, the moment I finished the book, I read her first novel Rosa Sola, which I also thoroughly enjoyed. Her beautiful descriptions bring her books to life. I found the passages describing Emilia’s music particularly lovely. The author does a wonderful job of showing society and culture of 18th century Italy. This time period makes for a very interesting book, especially for young women, to see the choices and educational opportunities available to girls their age at that time in history. This book highlights something that’s near and dear to my heart – that we all have gifts from God and we should find ways to use these gifts to help others. I loved that these young women knew their talents were from God and they longed to use them in a positive way. I also really liked the underlying passages of jealousy. This is something we all can relate to, feeling envious of another’s successes. How Emilia deals with this and works through it is a wonderful example for readers to emulate. —Playing by Heart contains so many historical details. How long did it take you to write and research? That’s a difficult question to answer because I didn’t work on it consistently. I started the project in 2008 but I kept getting bogged down by research. Then, in January 2009, I banned together with a group of fellow writers to create our own version of National Novel Writing Month (NaNoWriMo), which takes place every November. We decided January has fewer distractions than November, and we called ours a New Year/New Novel project, or NYNN (which rhymes with “win”). Thanks to the support of the NYNNies, I managed to complete a pretty horrible first draft. But I don’t think I had a polished draft until nearly two and half years later, in September 2011. That’s when I started submitting it. As the rejections came in, I kept revising and submitting, sending the novel to editors and agents, and entering it writing contests. But I eventually gave up and put Playing by Heart in the proverbial drawer sometime in 2014. –Why did you give up on the novel? And how did you end up getting it published? 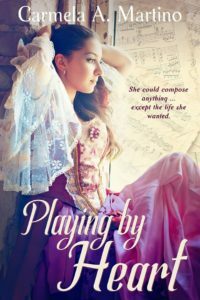 Playing by Heart did well in several writing contests, and even took first place in the YA category of the 2013 Windy City RWA Four Seasons Romance Writing Contest. Several of the editors and agents who judged the contests asked to see the full manuscript. Unfortunately, they all told me pretty much the same thing: Playing by Heart was well written but historical fiction is a “tough sell” in the young adult market. After studying the market, I realized that the YA historicals that sell well seem to incorporate fantasy, witches, secret societies, or a murder mystery. Playing by Heart has none of that. I’d thought my sales “hook” was that the novel is inspired by two amazing 18th-century sisters who were far ahead of their time, one a mathematician, the other a composer. Frustrated, I set the manuscript aside and hoped the market trends would change, as it often does in publishing. Then, in March 2016, I had the opportunity to pitch to an editor from Vinspire Publishing as part of the 2016 Catholic Writers Guild Online Conference (CWCO). The editor liked the pitch, asked to see sample chapters, and eventually offered me a contract! –You mentioned getting bogged down in the research. You include so many wonderful visual details, from the Latin inscription on the harpsichord to descriptions of specific paintings. How did you research all that? I’m a visual learner, myself, so I need visual details to be able to picture my setting. I researched what harpsichords looked like at the time and found several with Latin inscriptions above the keyboards. That was too delicious a detail to pass up. So I researched Latin mottoes of that time and found one about joyful music that fit perfectly into the story. Regarding the paintings: while looking at illustrations of the interiors of 18th-century Italian palazzos in the books I researched, I noticed the walls were typically covered with paintings, many of them religious. So I researched the popular artists of the time and used their paintings as models for those I mention in the novel. For example, there’s a painting I refer to in Playing by Heart as the “Cerulean Madonna.” It’s loosely based on the painting Madonna and Child with Angels by an Italian Renaissance painter known as Masaccio. –How did you manage to write a novel set over 200 years ago in Milan, Italy in a way that today’s teens can relate to the characters? Instead, I chose Emilia as the viewpoint character. Although she, too, is gifted, she also has flaws, such as her jealousy of her sister. Sibling rivalry is something modern readers can relate to. I also focused on other problems that today’s teens could empathize with, such as the pressure of parental expectations and discerning a life’s calling. And, of course, the quest for true love. –Are you planning a sequel to Playing by Heart? I intentionally left one aspect of the story open to speculation at the end of the novel—what will happen to Emilia’s younger sister Isabella? I’d really like to write a companion/sequel to Playing by Heart with Isabella as the main character. Right now, though, I’m working on a short story set in the same time and place as Playing by Heart that I plan to submit to an anthology. Great review! And I’m glad there might be a future book/story that will tell more about Isabella, because THIS reader was wondering what would happen to her!